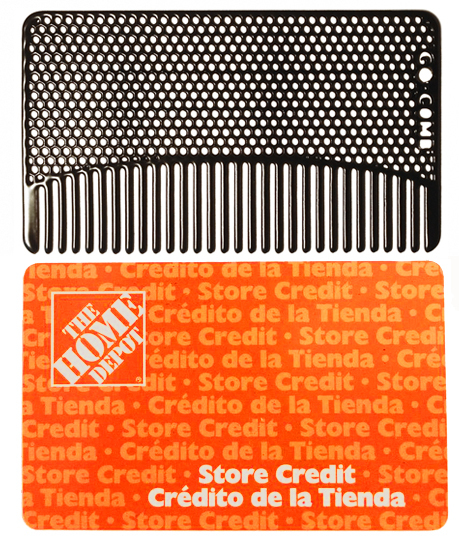 What you need is a sturdy, super skinny comb that will fit inside your wallet. We've got one for you at Big Skinny. 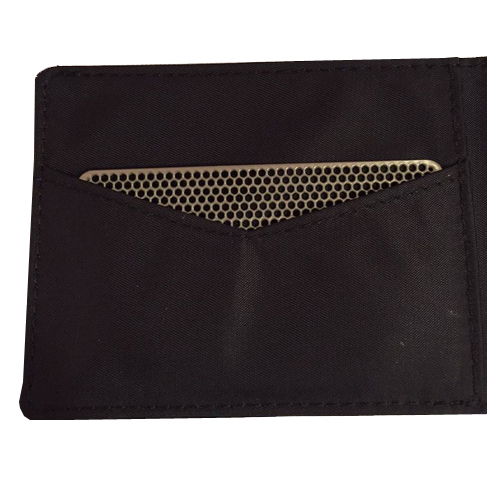 The stainless steel mesh wallet comb by Go-Combs weighs less than an ounce, and is about the size and thickness of a credit card. 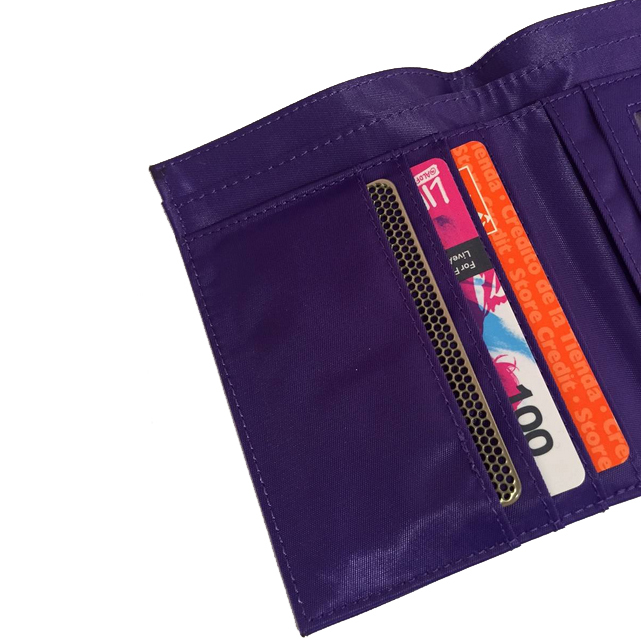 That means you can slide it into your wallet with no bulge. If you're the kind of guy who walks around with an ugly black plastic comb sticking up from a back pocket or from your shirt pocket, we have one word of fashion advice for you: Don't. Instead, choose this good-looking compact comb to keep your hair looking combed and neat wherever you go and whenever you need it. 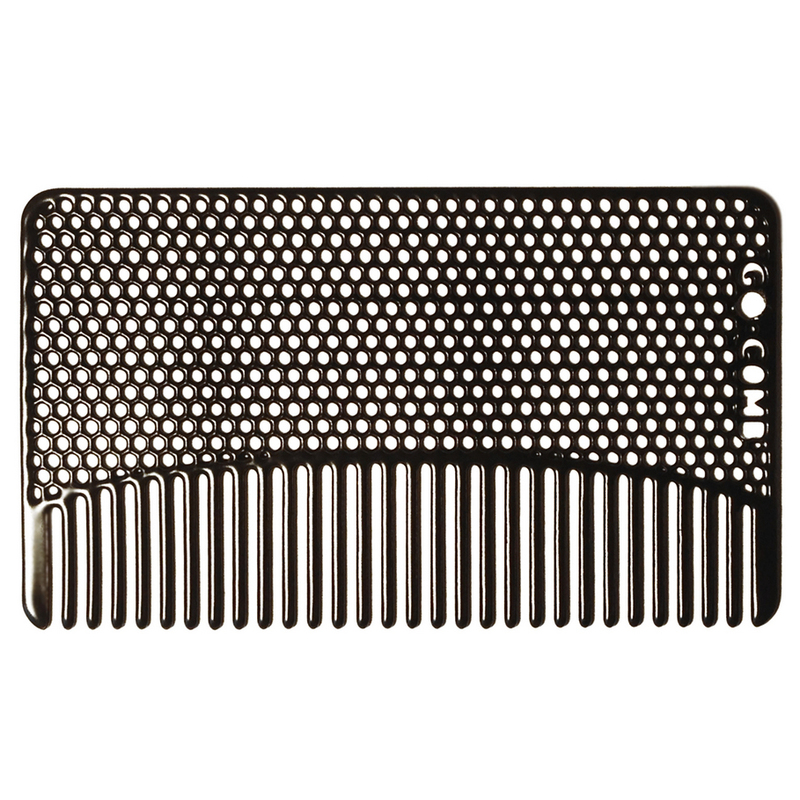 this comb is both thin and feels good whilst combing. i have others from elsewhere that are thick and scratchy. This comb is very sturdy and light (not titanium light, but steel light). 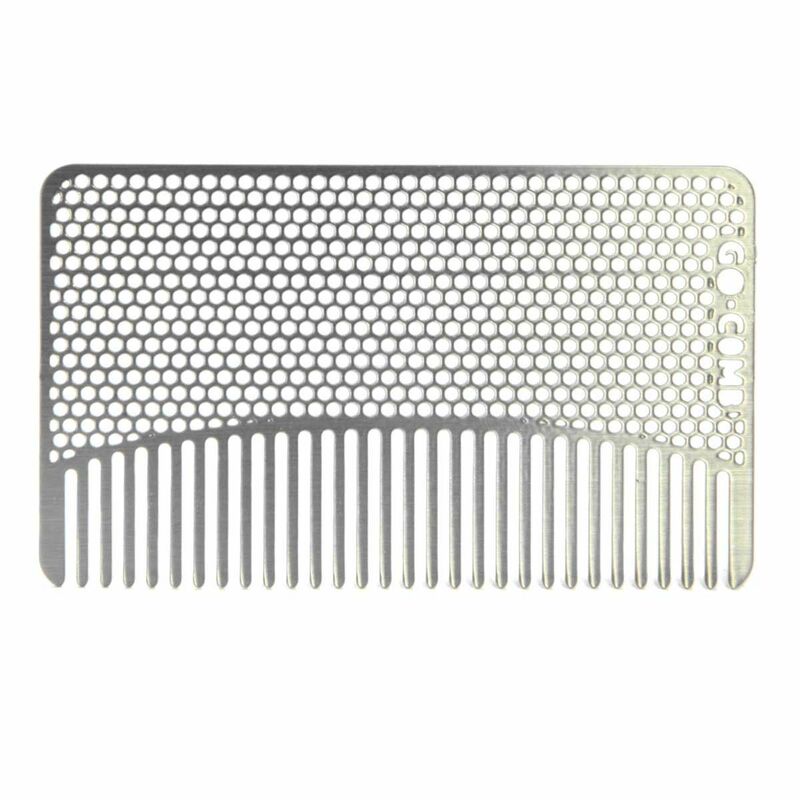 Wonderful having a comb anytime! 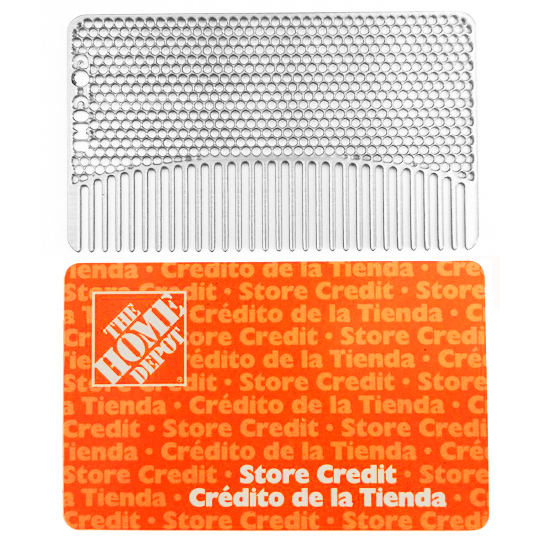 This comb fits perfectly into my husband's wallet. 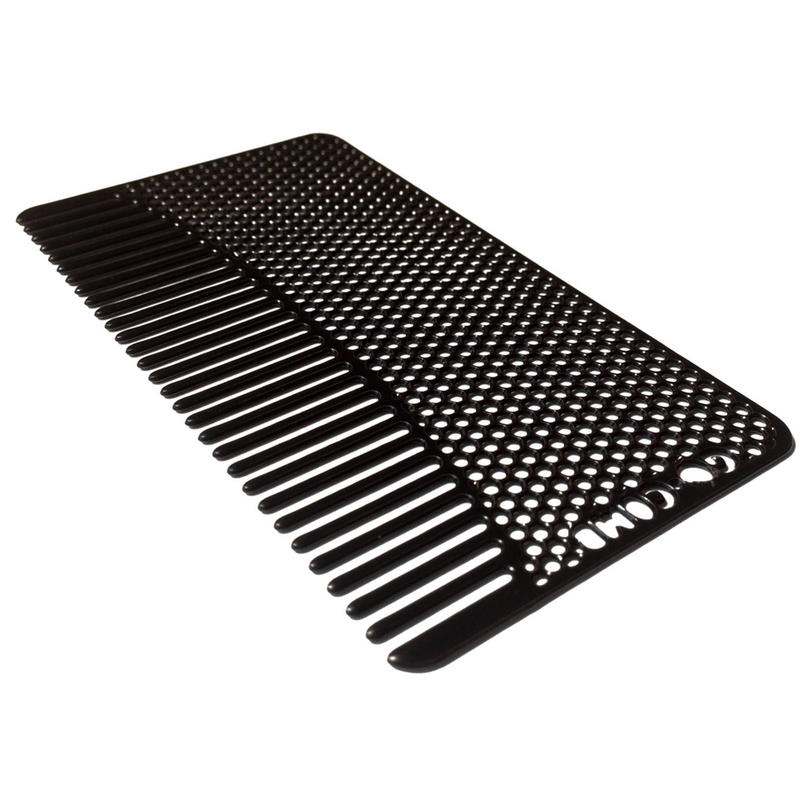 No more broken pieces, lost combs, or bad hair days! What craft shows will be in central Fl?